I find it interesting that this entire journey has come full circle. It began for me over a decade ago when a friend from Morgan City, LA told me that the first Tarzan film was shot there and that monkeys and apes had been brought in to add realism to the movie. When the film wrapped, the apes/monkeys would not get back into their cages. The filmmakers just left them behind. 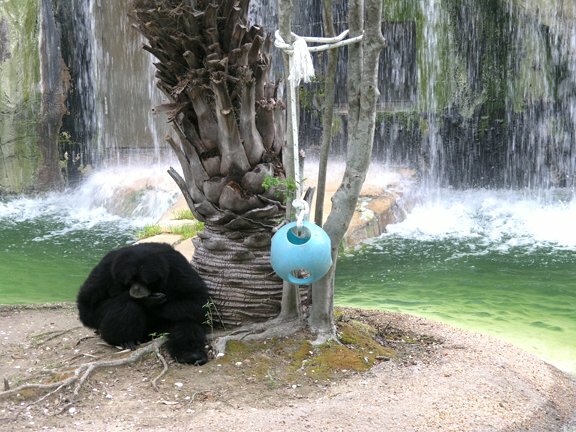 In June, I found myself going back to the Audubon Zoo in New Orleans videotaping Siamang apes. The reason for my videotaping the apes I leave to your imagination to be answered in our documentary in 2012. Several months ago, I saw a friend Terry Wilson. I gave him a Tarzan business card and some details about the progress of the film. Terry is the kind of guy who has a big smile on his face and enjoys helping people. I mentioned to him that I was in need of a corporate sponsor. Later he called me and told me he was setting up a meeting with a member of the Louisiana House of Representatives Henry L. Burns. Along with being in the oil business and a House Representative, Henry owns a delicious company, The Wooden Spoon, which delivers freshly baked treats in baskets. Henry is affectionately known as the "cookie man." A few weeks later I showed up with Terry at about 6:30 a.m. to be introduced to Henry. I drank coffee and salivated as Henry stirred up his batter, poured them into small sugar-coated trays and waited until we could talk freely. As he put the last batch into the oven, I gave him a brief overview of the Tarzan project. Shortly, Henry understood the big picture. He called another House of Representative member Jane Smith and shared information with her about the project. Henry and Jane love Louisiana and are for promoting the film industry in Louisiana. My state is now third in film production behind California and New York. Henry invited me to the state session before it ended on June 23rd. Most people associate the entire state of Louisiana with New Orleans. The Big Easy is in the southeast corner of the state and I live in the northwest corner which is about five hours away. 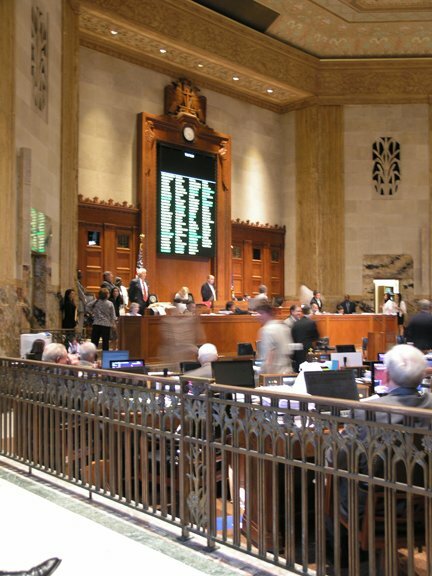 The state capital is in Baton Rouge which is an hour north of New Orleans. I drove down to Lafayette after work and stayed with Allison and then drove over the next morning to the state Capitol building. It is a really beautiful structure. 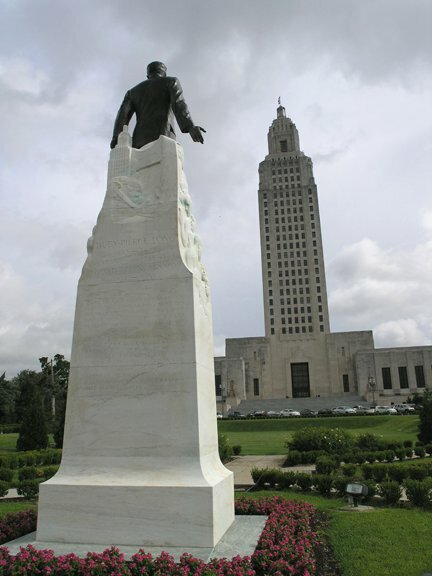 A big bronze statue of Huey P. Long is across the street. There have been two movies about Huey both called All the Kings Men. Filmmakers seem to have a hard time getting his north Louisiana accent correct. 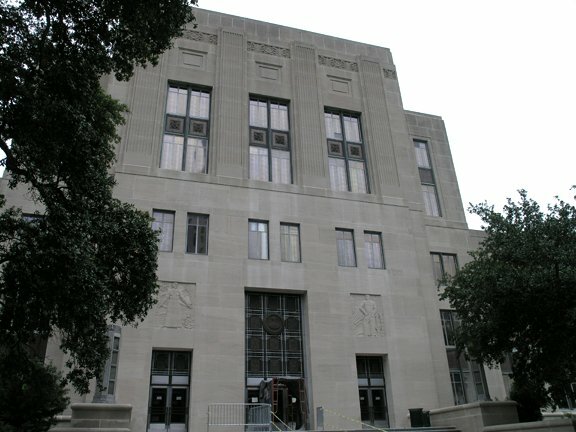 It is interesting to note that most statues like this have the honoree standing in front with their back to the building. Huey faces the Capitol. It is said that he is keeping an eye on things going on inside. As you might know, Huey was assassinated in the Capitol building. Once inside the Capitol, a page took a message to Henry Burns on the House floor and he called me in. He introduced me to the House members from the Morgan City area. I sat in the gallery area and when the session began, Henry asked me to stand and introduced me to the House members. The Speaker of the House Jim Tucker left his podium area and the staff photographer took our photo. Then a picture was taken of me, Henry, Jane and the Morgan City members. It was thrilling to watch the House in session. Senator Robert Adley came over from the Senate side of the Capitol and met with me for a moment. It turned out that the day I was there legislation championed by Jane Smith and Henry was in a tug-a-war for passage. Yet, Henry and Jane walked with me across the street to the Capitol Annex to meet with the Lt. Governor. 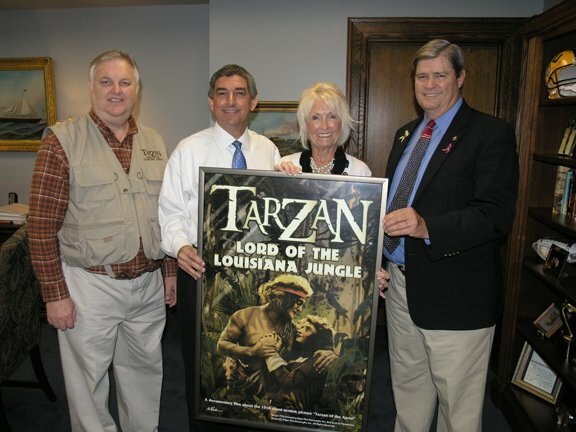 Jane and Henry presented a framed Tarzan documentary poster to Lt. Governor Jay Dardenne. They rushed back to the House to continue to shepherd their bills through. I was humbled and appreciative of their efforts. I asked the Lt. Governor if we could visit a few minutes. We talked for about 20 to 30 minutes. He loves history and has a popular presentation about Louisiana. “Tarzan of the Apes” is part of that speech. We exchanged interesting and funny facts about the film. The Lt. Governor's office is in charge of tourism for the state. I expressed to him that I saw the documentary important to our state in three ways: First, it is part of Louisiana history; secondly, it promotes the film industry in our state and finally, it enhances tourism to the state. I shared my need for a corporate sponsor and he said he would try to help. He asked me to prepare a budget. As soon as I returned home I began the process and have now finished it. I feel I have a solid proposal and I am ready to take the next step. Hopefully, very soon you will hear the victory cry of the bull ape or at least read about my getting that sponsor in the next article. This is a Siamang Ape from the Audubon Zoo. It is unusual for a statue to face a building. However, when it came to Huey Long, unusual was the norm. House Speaker Jim Tucker presides over the House of Representatives. This is the Capitol Annex where the office of the Lt. Governor resides. present a framed Tarzan documentary poster to Lt. Governor Jay Dardenne.